Home » What makes WAMA special? Specialistic and subspecialistic. With advent of new techniques and developments, medical knowledge and interventions are expanding at an enormous rate. Medical professionals are expected to focus on very specific areas. This is how new medical (sub)specialties are evolving. In our ever shrinking world the unequal distribution of access to this high quality healthcare becomes painfully apparent. Medical professionals from developing countries often need to obtain their knowledge of medical (sub-)specialties in developed countries. Financial and logistical problems like difficulties of certificate validation can arise in this situation. Moreover the medical setting and equipment and the range of pathology seen in guest countries differs from those at home. This is why WAMA focuses on providing local medical (sub-)specialty training. Consultation support of medical professionals will be provided at all times. Knowledge. WAMA primarily focuses its energy on knowledge transfer. Actual patient care and transfer of goods at all times serve learning purposes. All medical (sub-)specialties. Since WAMA has an extensive network of medical specialists of all kinds, projects in various disciplines are possible. Important of course is that the project suits the mission statement and the goals of WAMA. 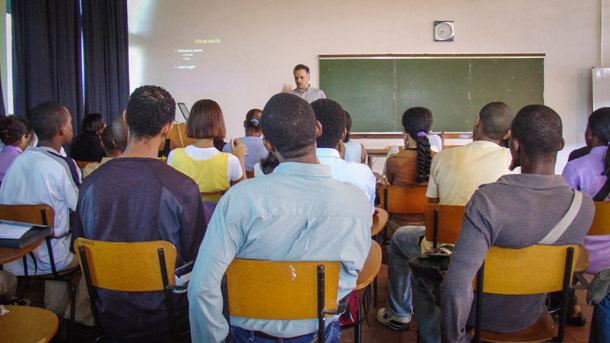 For the time being, the WAMA Foundation can provide advice and assistance in the following areas of specialisation: ophthalmology (including orbit surgery), plastic and reconstructive surgery, otorhinolaryngology, neurosurgery, neurology, psychiatry and internal medicine, radiology, pathology and microbiology. The Foundation is still young and in the process of further developing its array of medical specialisations.